If you are like most businesses, then you probably require a variety of printed products and materials. These materials may be used to communicate important marketing or brand messages. When they don’t arrive in time or are not the quality that you expect, it can impact your bottom line. Imagine this scenario — your company is hosting a crucial business meeting on Tuesday. You order printed brochures and other materials for the conference from a graphics vendor. The vendor agrees to have the materials to you by Monday. It's 4 PM on Monday, and you still haven't received anything from the print vendor. So, you call them. The vendor apologizes profusely for being late and promises to have the brochures to you before the meeting on Tuesday. The meeting starts on Tuesday, and the materials have not been delivered. You apologize to your meeting attendees for the lack of printed materials. However, the damage has been done. The brochures were essential to your presentation. Even though you were not directly responsible for the printed materials, the lack of professionalism still reflects poorly on your company's reputation. The above example demonstrates why it is essential to partner with a reliable printing company that will consistently provide premium-quality printed materials when you need them. Dedicated account managers - Our account managers help you plan your project from beginning to end. A personal guarantee - Made by all of the team members that work on your project. Brand management - We represent your brand accurately. Quality assurance - Every project goes through strict quality assurance to make sure that it is up to Boingo standards. Performance tracking - Continuous performance tracking allows us to improve our process regularly. We have a multi-shift facility to fulfill your project on time. We will do what we say we will do. We will complete what we start. We will say please and thank you. 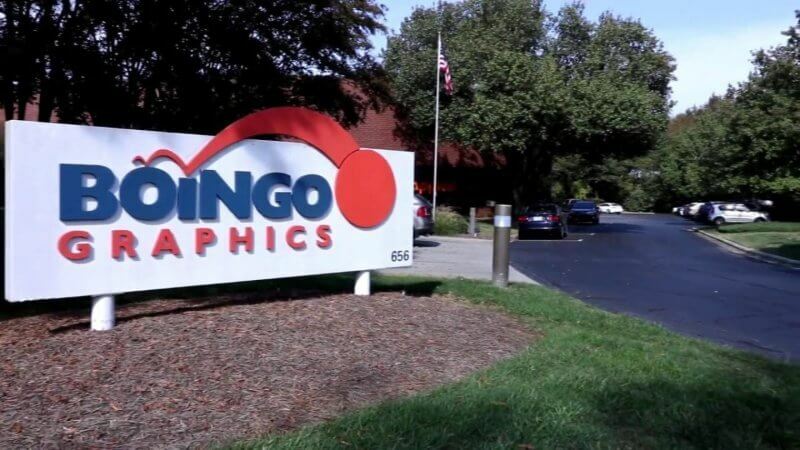 You can count on Boingo Graphics to deliver your project on-time and to your specifications. We’ll leverage the power of our tightly-knit team and trusted process to overcome any challenge that might occur while we work on your project. Our goal is to ensure that you get the exact product that you want when you need it. Last month, we delivered more than 99 percent of our projects as specified and on-time. How did your current print vendor do? Leave a comment to let us know.